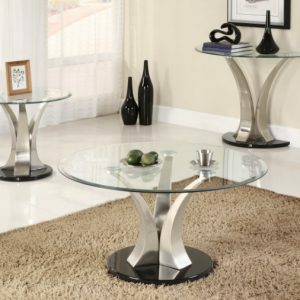 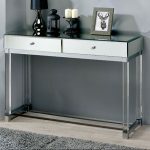 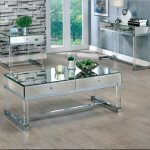 With the perfect combination of glamour and storage, this table is a great way to add contemporary style to your living room. Reflective panels around the mirrored table top help brighten the room. 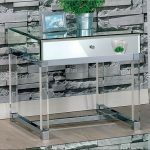 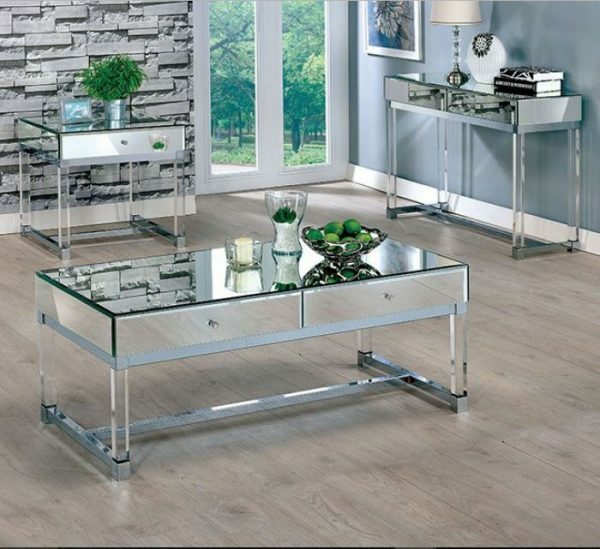 The chrome legs attached to the rectangular top are joined together by a supportive beam, creating a more stable design for this luxurious table.